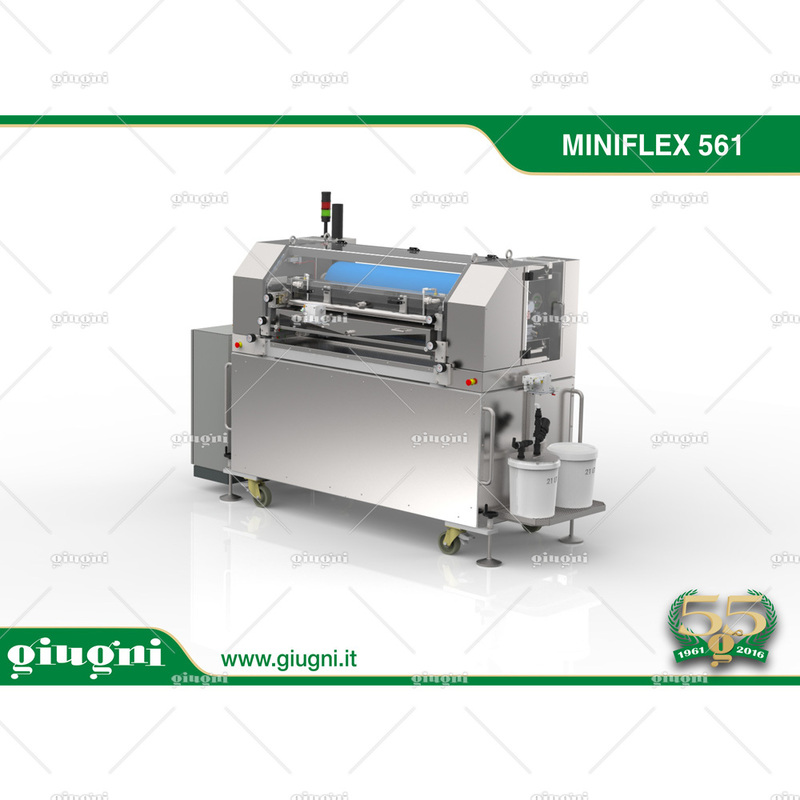 Miniflex 561 is a motorised flexographic machine suitable for single colour printings on plastic films and on paper materials. 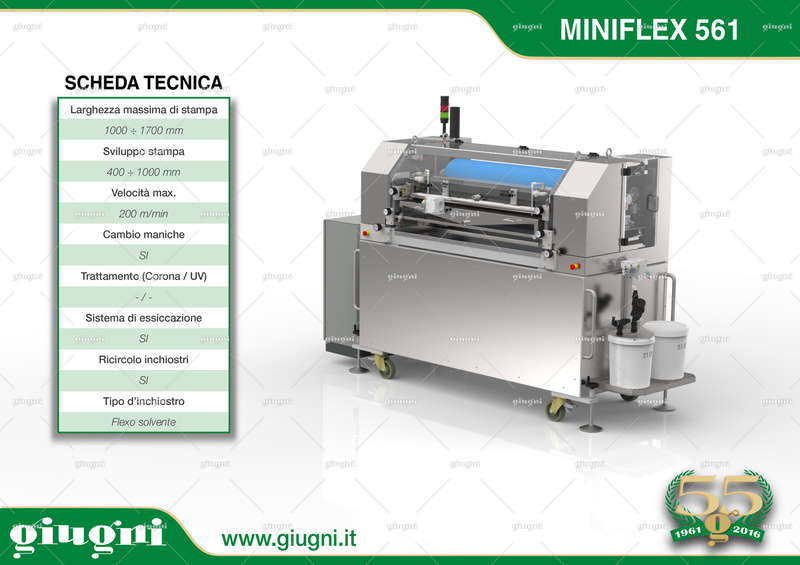 The maximum available printing width is 1300 mm and the printing repeat is variable since the machine allows in-line printing sleeve change. Miniflex 561 employs water-based inks and is fitted with ink recirculation and drying system.